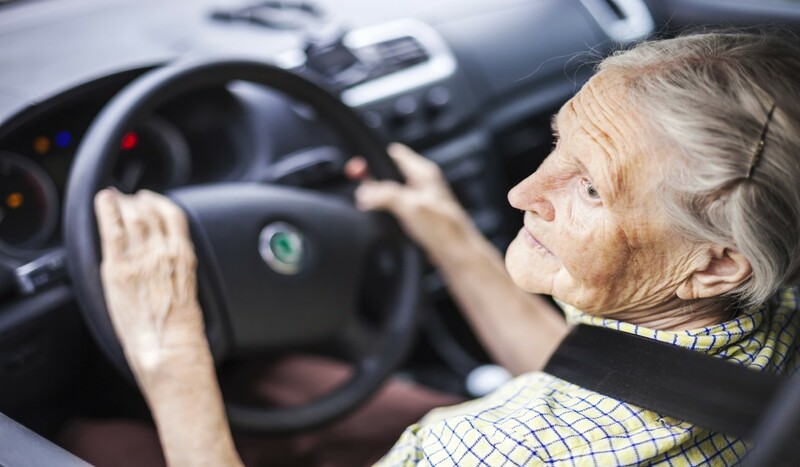 Elderly Drivers – A controversial Issue? An incident involving an elderly man who drove his BMW into a 700-year old monument in Truro last week has sparked debate around additional testing for elderly drivers. The driver, confirmed by Devon and Cornwall police, suffered a medical episode at the wheel resulting in losing control and colliding into two people who were sitting on a bench. The car then smashed into the historic Celtic monument outside of Truro Cathedral which dates back to medieval times. The elderly man was treated at the scene but was fortunate to sustain only minor injuries. However, the ‘freak accident’ did highlight a controversial issue that has been left unaddressed for many years – should elderly drivers be made to retake their driving test? The current law in the UK is that once passed the original driving test, a licence remains self-regulation by the individual. This means there are no governing powers to revoke someone’s licence from them or even make them do a compulsory test on their driving ability. 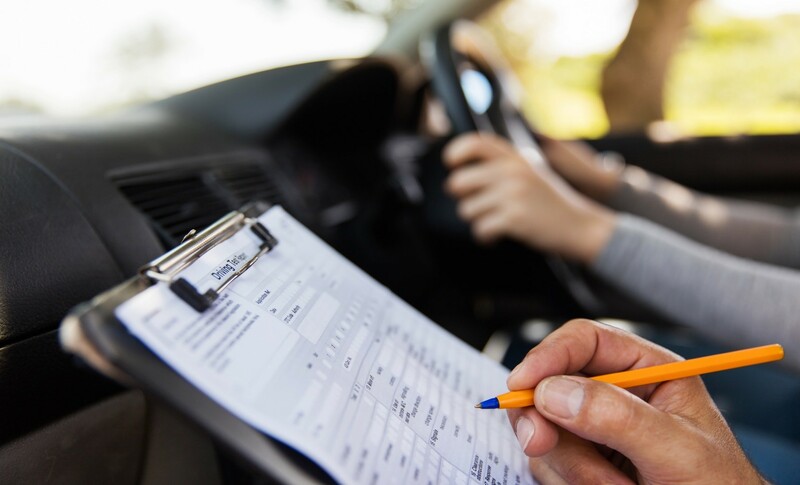 Instead, drivers over the age of 70 are required to fill in a simple assessment form every three years to renew their licence with no medical details required. However, a petition which has reached more than 264,000 signatures, is calling for those over 70 to do a formal assessment to retain their licence. The petition started by Benjamin Brooks-Dutton is issued to the Department of Transport and needs 300,000 signatures to be considered. It was set up by Benjamin after he tragically lost his wife when an 85-year-old pensioner, mistakenly used the accelerator instead of the break and mounted the curb travelling at 54mph in a 20 zone. Speaking to Falmouth residents who live locally to Truro, most of them are in agreement that there needs to be some form of re-evaluation to elderly drivers. Scientifically speaking, the cognitive speed in reactions is said to drop by 15 percent, every 15 years after the age of 24. This means that those aged 70 and above will have a significantly lower ability to be able to stop in emergency situations. Do DVLA need to intervene to force them to retake their tests? Most people agreed that a law needs to be in place to protect both drivers and pedestrians alike. In the case in Truro last week, the man suffered from a medical episode at the wheel resulting in the car crashing – therefore medical assessment could potentially avoid collisions occurring due to being physically and emotionally competent of driving. Although Mr Murdock’s views were controversial, the young-vs-older driver’s data does highlight that those under the age of 20 are more likely to have an accident than drivers over 75, specifically ‘boy racers’. Whether or not elderly drivers need to have additional testing is a political hot potato, but the fundamental message still remains – whatever your age, drive safe or don’t drive at all! 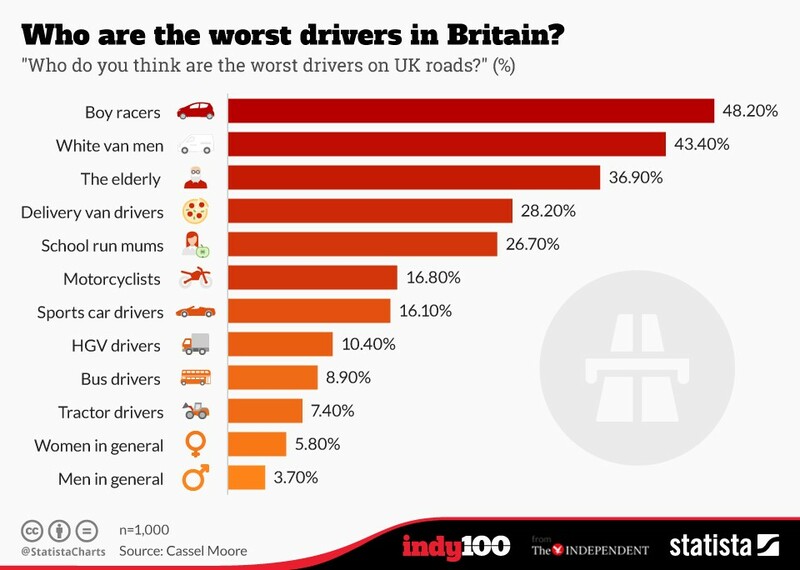 A statistical graph representing the worst drivers in Britain?